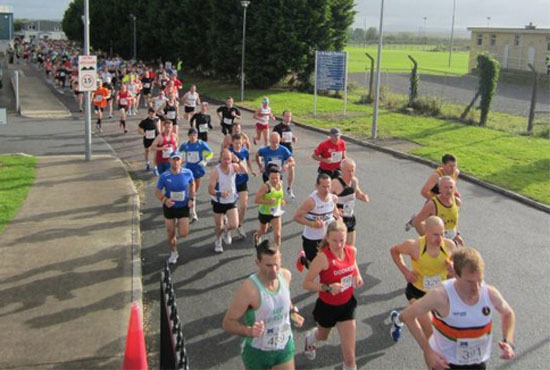 This was the first year of this Half-Marathon in Charleville in North Cork and it has got off to a great start with well in excess of 400 runners turning up for this race. The mens race was won by Alan O’Shea of Bantry AC in time of 67:00, just over 30 seconds ahead of Vinney Mulvey from Raheny Shamrocks AC. That time was actually nearly 2 minutes faster than the Dublin Half-Marathon which was on the day before and had over 8,000 entries. 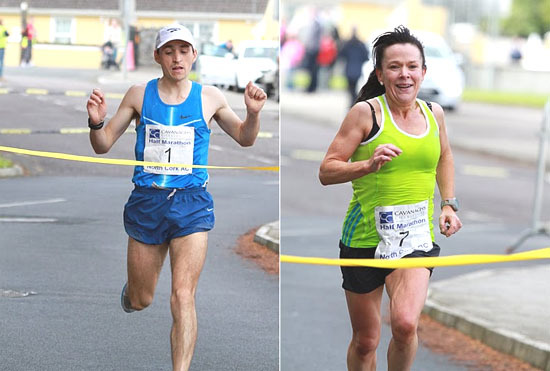 Angela won the race today in 81:04 (Dublin = 80:21) and had a comfortable lead of over 2 minutes on the second woman home…Tracey Roche of Dooneen AC.